These are lyrics by Sir Mix-A-Lot that we think are kind of repetitive. 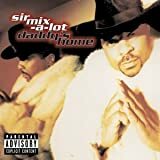 Sir Mix-A-Lot's, "Jump On It"
What's up [random place], what's up? Jump on it, jump on it, jump on it! Not only does he repeat it about 7 times, how the heck do you 'jump on it'? What is he, Godzilla or something?